The A25C is the com only version of the A25N. The menu interface and large 2.3” LCD display make the A25 simple to operate. I've been using Icom for 25 years. This one replaces my A21. The A21 is still going strong and shows no signs of failing. The only reason I purchased this one, I gave the A21 to my son. 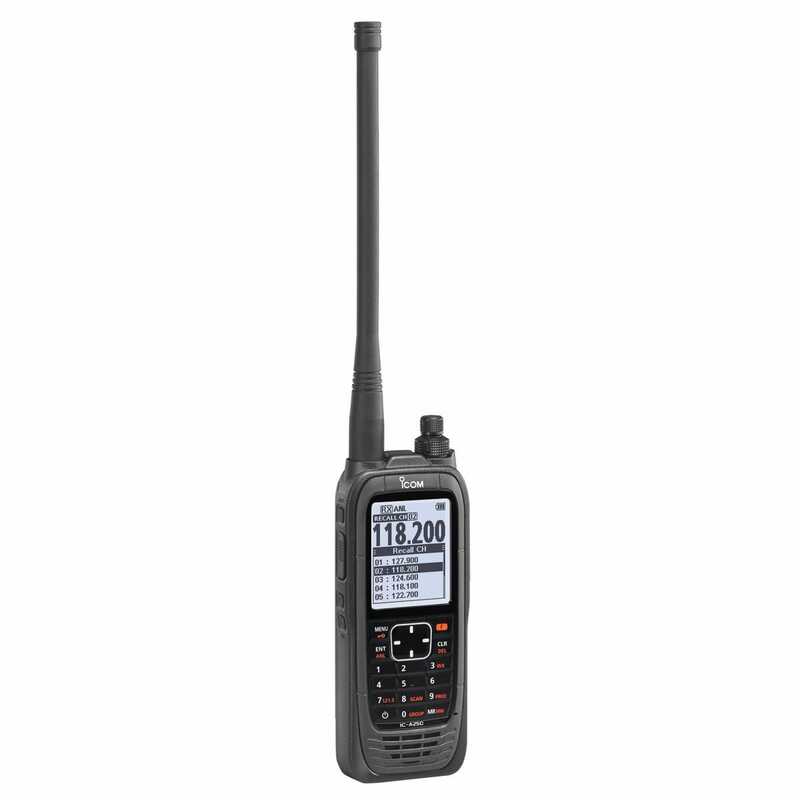 Icom is my go-to handheld, PERIOD! Can I use this radio as a scanner as well, where it will scan multiple saved frequencies? I live in europe. can I use the charger with 220 volts ? What is the manufacturers warranty on this product? BEST ANSWER: The manufacturer warrants the product for two years. If I use the headset adapter, do I have to use the add on wired PTT? Or can I key the radio with the PTT button on the side and transmit the audio from my headset mic? BEST ANSWER: You can use the PTT on the side and transmit. DOES THE PTT SWITCH YOU SELL FROM ICOM ALSO WORK WITH THE A25? BEST ANSWER: Yes, it works with this unit as well. This radio has 8.33kHz spacing. Does that have any impact on using it in the U.S? BEST ANSWER: The 8.33 spacing is for receiving. This unit will not transmit with the 8.33 khz spacing.